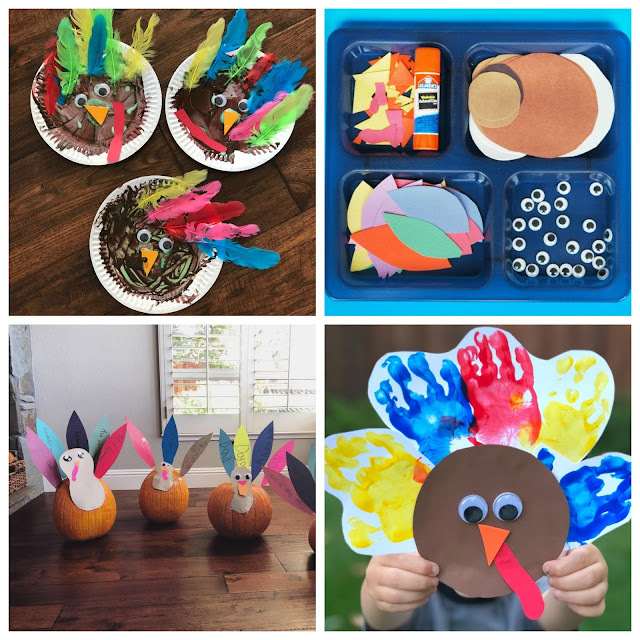 What are you going to do with the kids on Thanksgiving? I love any opportunity to celebrate! Thanksgiving is such a fun holiday because you can celebrate really simply or extravagantly and either way is great. You also often have a lot of time on Thanksgiving Day after the big meal (or before) to fit activities in! Each year I like to find a few simple and easy activities to try out on Thanksgiving Day. I try and keep the materials and prep to a minimum. I like to mix it up and do a few Thanksgiving themed things and a few Christmas themed things. 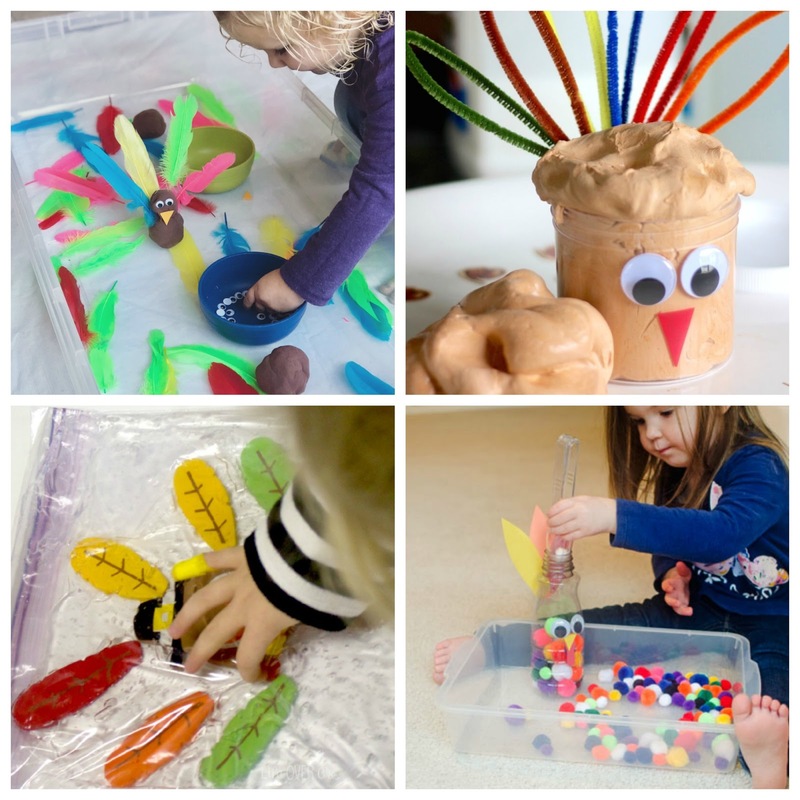 Here are a few of our favorite Thanksgiving themed activities for kids that we've tried! 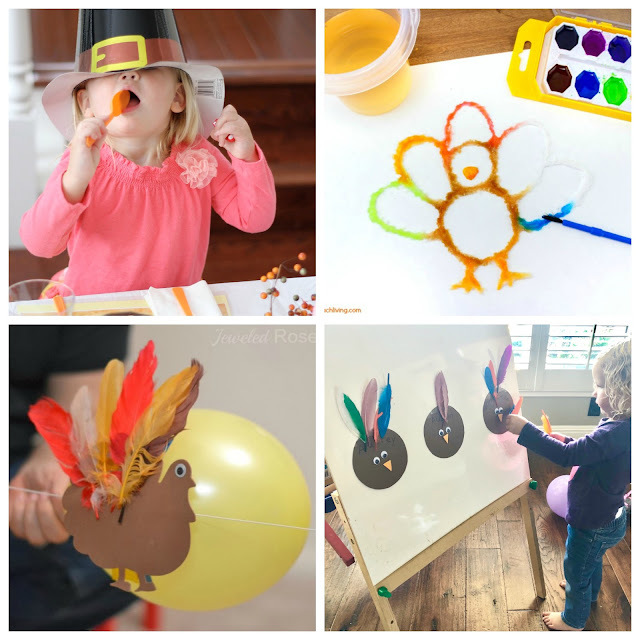 These activities would be great to do on Thanksgiving Day or as part of a Thanksgiving themed playdate or party with friends. How are these Thanksgiving activities organized? I've organized this post for you by activity type, like we've done for Valentine's Day and Fall activities in the past. This way you can pick one or two activities from each category and BAM, you've got a fun day planned! Who are these activities for? 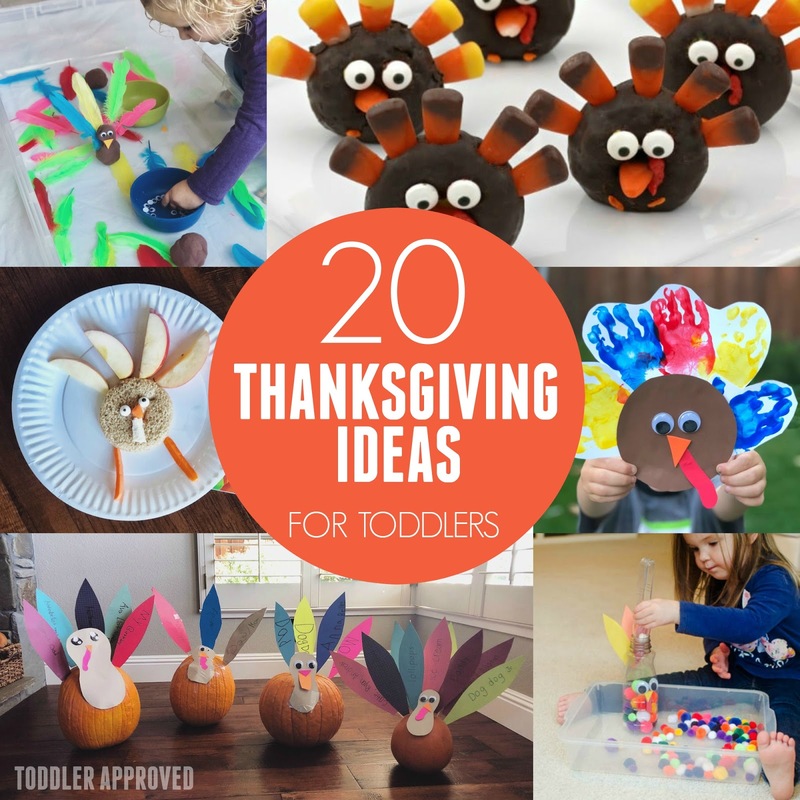 Although these activities say they are for toddlers, all four of my kids would have fun with these! They are ages 10, 7, 6, and 2. I hope YOU have a blast with these too! 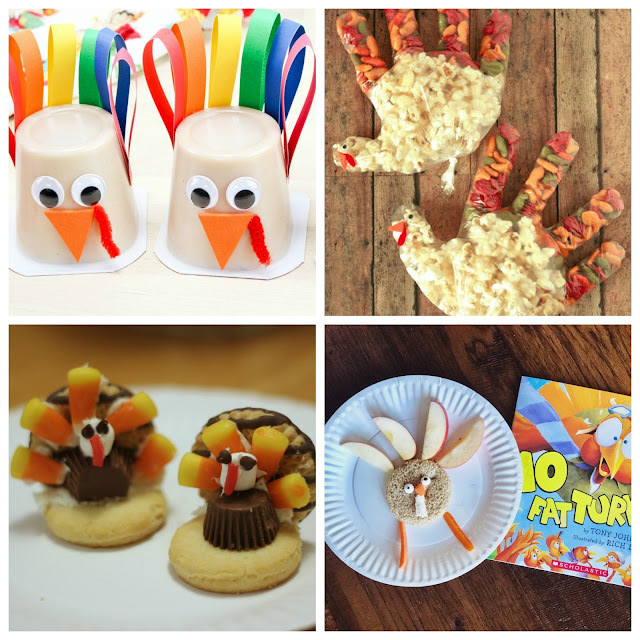 Here are our 20 favorite Thanksgiving themed activities! This one is simple! Hide some feathers around the house. 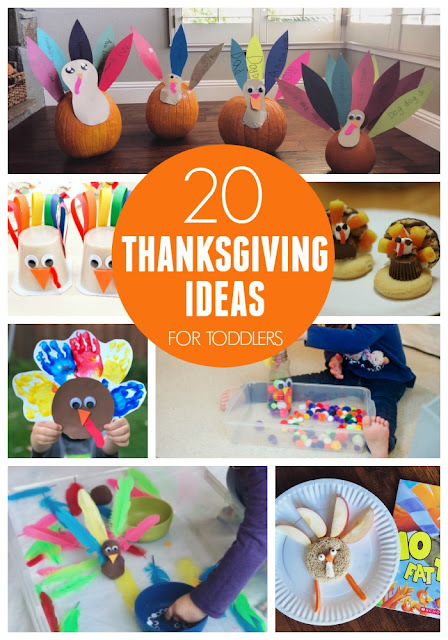 Come stick them on the turkey head once you find them. If you have any other "go to" activities that you always pull out for Thanksgiving parties or play time, I'd love to hear about them. I especially love activities that have simple set up and clean up! Are you ready to move from Thanksgiving and start planning for Christmas? Don't miss our on our Toddler Christmas Advent! It is available right now for only $4.99.